Dear Fug Girls and Jon Hamm (I know you must be excited to be mentioned in the same sentence, ladies): I love you. 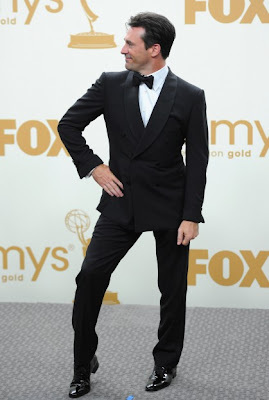 Jon, for striking such poses at the Emmys. (As well as being a winning combination of hot, a good actor, and quite funny in your occasional 30 Rock appearances.) Fug Girls, for chronicling moments like these. I couldn't help myself. I just had to share.